"[The girl dressed as St. Lucia] held a golden bason in which were two eyes: Her own were covered by a velvet bandage, and She was conducted by another Nun habited as an Angel. She was followed by St. Catherine, a palm-branch in one hand, a flaming Sword in the other: She was robed in white, and her brow was ornamented with a sparkling Diadem. After her appeared St. Genevieve, surrounded by a number of Imps, who putting themselves into grotesque attitudes, drawing her by the robe, and sporting round her with antic gestures, endeavoured to distract her attention from the Book, on which her eyes were constantly fixed. These merry Devils greatly entertained the Spectators, who testified their pleasure by repeated bursts of Laughter. The Prioress had been careful to select a Nun whose disposition was naturally solemn and saturnine." By portraying the members of the church in this manner (and making an oblique reference to Saturnalia), Lewis evokes the pagan rites of the past, questioning the practice of religion itself as it was increasingly asked to compete for followers with other forms of truth-seeking, such as science. At the same time, he critiques their fascination with reliquaries and objects of faith that are too often also ostentatious displays of wealth. Many of Lewis' future imitators would also set their fictions against a religious backdrop, since it was fertile territory for the Gothic exploration of the supernatural and unknown, as well as its anti-Catholic project. 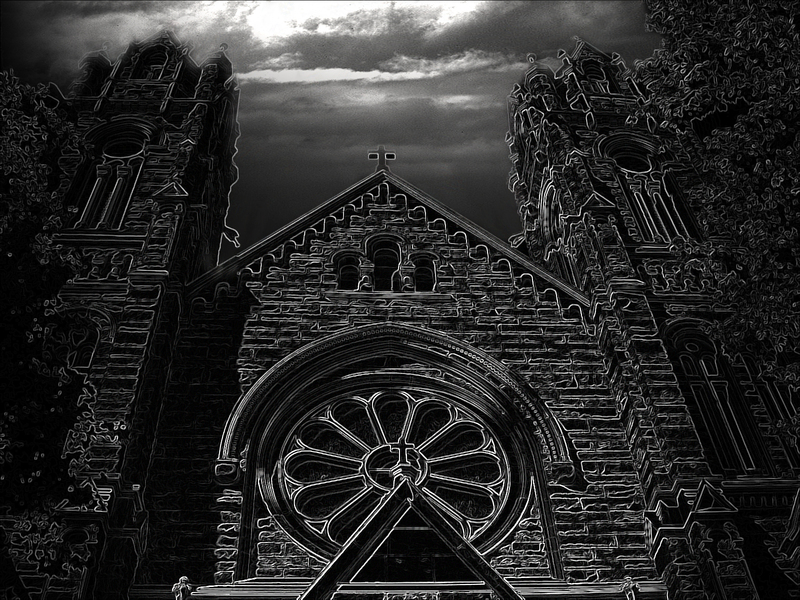 As the Gothic evolved, religion became more and more striking in its presence and absence in Gothic literature. In Dracula, religion features prominently in the fight against the vampire – Van Helsing, Harker and Mina frequently invoke the name of God for supernatural and divine aid against the power of Dracula. Yet, there is also a disturbing sense that God is strangely absent, or at best, distant, within the novel. God’s power seems limited – captured and contained within material shapes and symbols such as the Host, Indulgences, and the Crucifix. The men who hunt down Dracula are dependent on the trappings of religion without true substance. Religion thus becomes reduced to transferable property. In this, Stoker is similar to Lewis in his critique of religion. God is also sidelined in Mary Shelley’s Frankenstein. While Biblical allusions to God as Creator abound in the novel, it is always in juxtaposition to the transgression of Victor Frankenstein as the mad scientist. God is invoked only when an immediate threat is identified, as Victor laments and appeals to God to grant him the strength to defeat and destroy his monster. Christianity as the dominant religion in nineteenth century England was thoroughly interrogated and questioned, its beliefs in an Almighty God challenged as science and technology assumed prominence. 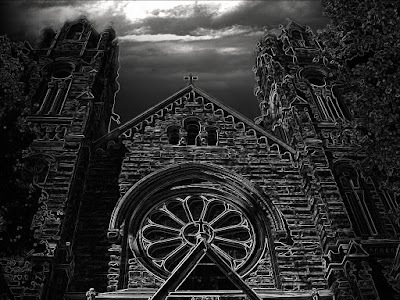 Gothic authors, themselves questioning the relevance of religion, foregrounded these issues by presenting Christianity in a dubious light – present, but altogether powerless, shallow, possibly corrupt, and certainly insufficient to explain the mysteries of modern times. Fong Minghui, National University of Singapore class: EN 4223 - Topics in the Nineteenth Century: The Gothic and After. Killeen, Jarlath. Gothic Ireland: Horror and the Irish Anglican Imagination in the Long Eighteenth Century. Dublin; Portland, OR: Four Courts, 2005.